current & forecast tracks, windfields, satellite images, model tracks and much more. Get the free version of Google Earth here. Download the free tropical weather add-on here. Whether a particular storm threatens you or not, Go Over Your Family Plan and Get Your Emergency Supplies NOW! Watch this video that was produced to help American families prepare for disasters and puts the Plan. Prepare. Protect. philosophy in a very concise and easy to understand format. If You Have A NOAA Weather Radio, Make Sure It Has Fresh Batteries! Tornadoes Spawned By Tropical Systems Can Strike With Little or No Warning, So Keep Your Eyes AND Ears Open! If you DON'T have one, GET one! If You're In An Affected Area Visit Your Local National Weather Service Site For Updates And Emergency Information! Click here to see the locations where we've documented past storms. This one formed quickly and made landfall at the Belize Mexico border. Easternmost forming July storm on record. Longest lived July storm. 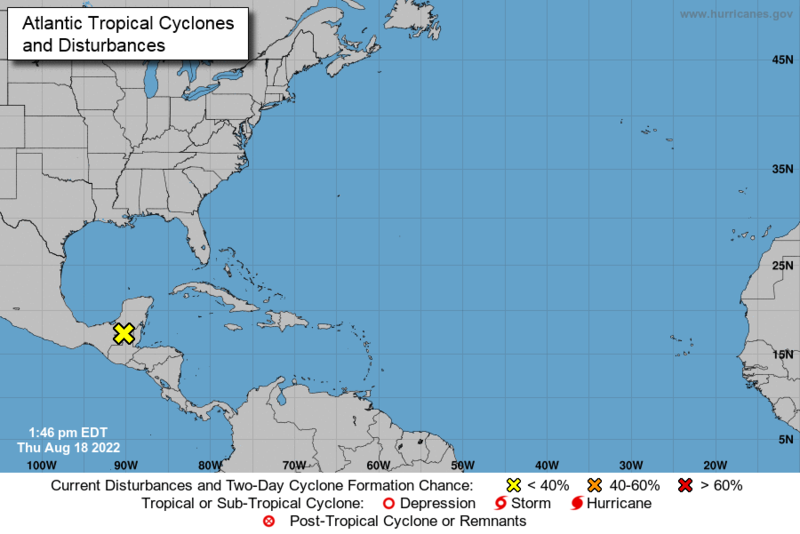 Longest lived storm in the Atlantic basin since Ivan in '04 . Skirted the Carolinas Coasts dropping heavy rains. Intensified before landfall, at South Padre Island, just North of the Texas/Mexico border. Dropped lots of rain in Texas and a good deal in Louisiana too. Rain caused flooding in nearly a quarter of the U.S. and took dozens of lives in her path. Over 80 lives were lost in this storm's passage. The Gulf Coast took a big hit, but it could have been much worse. The Caribbean & U.S. Leaving Billions In Damage. This one was a fish storm that never threatened land areas. That's a good thing. New England And Then Pounded Nova Scotia. Was Never A Threat To The U.S.
We were in Orlando for our appearance at the National Hurricane Conference. during Energizer's Plan. Prepare. Protect. satellite media tour. Here's a wrap-up video from our trip. Visit the GetSET Huricane Center page here and check out our video page for more. We went to see it in Elizabeth City, NC. Watch this great video with Bill Proenza, the NHC director at the time and Michelle Mainelli, Hurricane Specialist. We've posted a couple of the shots from the trip here and will have more up later. Over 100 People Died In The Caribbean. 190,000 Lost Power As The Storm Hit Canada. This One Was A Fish Storm, Too. This One Was A Fish Storm. It Went From Depression To A CAT5 In Less Than 2 Days, Then Set A Record... The First Time For Two CAT 5 Landfalls In A Single Season. He Made It To Cat 5, But The Impacts Could Have Been Much Worse. The Track Was The Key. ALL Tropical systems can kill! Erin caused a similar number of deaths in the U.S. as a Tropical Depression (and the remnants thereof) that Dean killed as a major hurricane along it's entire path.